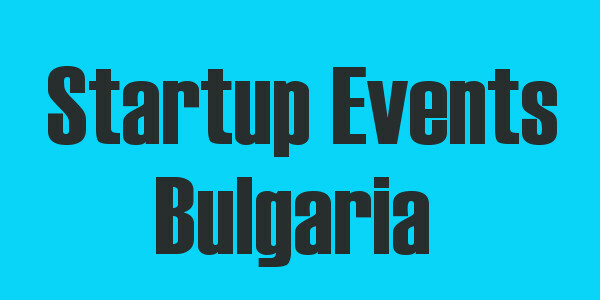 In the next three weeks there will be at least two startup events in Bulgaria in addition to Webit, which has already taken place in April this year. The Balkan Venture Forum (which has debuted in Macedonia last year) has announced that 36 startups from Bulgaria and the surrounding region will be pitching at their event in Sofia on May 21st and 22nd. Digitalk, which has been organized by Economedia with the support of Jeremie, NEVEQ and Amazon Web Services amongst others aims to educate entrepreneurs from South East Europe in the intricacies of building businesses out of startups. It expects to attract 600 participants. It takes place on the 3rd of June. The startups, many of which have been brought to our attention by the startup accelerators Eleven.bg and Launchub are participating at the Balkan Venture Forum. Here they are. Kalatori – InfoZone – A service for finding products and services based on location. Currently targeted towards Bulgaria. Sponsia – Service for helping event-organizers to find sponsors and sponsors to find events. Skyworks – Redback – ERP software for retailers and wholesalers. G6 Solutions – MailBBQ – Described as a more simple email service for SME employees. Mageca – Billed as the first online market for gesture-controlled apps. Edlink – Offers on-demand data for the K-12 market, which should help schools and educational-software companies. Riftforge – Cloud-based roleplaying game. MammothDB – Founded by a serial entrepreneur Steve Keil (an Australian in Bulgaria) helps make sense of big data. It enables adding interactive layer and query rewriter to Hadoop to create inexpensive data analytics solutions that can be used as a service. They offer an alternative to expensive data warehouse and business analytics solutions that are not affordable for most companies. Green Horse Games – CarsCup.com – Online social game which allows users to join a car club and then build up their car by racing. Kimola – A service which attempts to improve upon the usability of big data. Users can search through content and receive statistics and analyses on topics of interest to them. Imagga – We’ve previously done a couple of posts on these guys (here and here). They offer various tools to help users manage image collections. Prisync – A cloud-based services which allows companies to track the pricing plans and stock availabilities of their competitors. Teklifborsasi – An online marketplace where users post their to-do list and call for tenders. Transmetrics – A cloud-based service which uses big data to help shipping companies to predict future trends. Storpool – Offers software which allows companies to build their data storage out of standard servers, instead of buying specialized storage boxes. CreationPal – DoxBee – Document-collaboration system which replaces email attachments with distributed version control. DeskGod – Provides marketing tools for SME. Zzzzapp! – Described as a service which users to turn any Wi-fi connection into an interactive multimedia experience. ZotSell – An app which assists salespeople in managing orders. Eventyard – A service which takes a users interests and location and recommends upcoming events. iMediaShare – Another that we’ve previously covered. Their software allows users to play content from their mobile devices on their TV. Wanderio – Aids travellers by comparing prices and travel times on various modes of transportation, like planes, trains, ferries, buses, etc. Environmentally-friendly, as they also compare by CO2 emissions. Digital Geek – Style Jukebox – A Romanian cloud-based music service which we very recently covered. Skwibl – Collaboration tool which allows users to mark various parts of images or videos. Also allows them to post tasks. Squirrly – SaaS which helps publishers to increase SEO on their articles. Airpim – Manages loyalty cards. Users can receive real-time alerts, customized promotions, and unique invitations. Meister Plus – Angie’s List-like online marketplace for finding home-improvement professionals. codebender – Online development and collaboration platform for Arduino users and engineers. Pubsonic – A search-engine focused upon scientific literature. They want to introduce visually-interactive scientific data, partially in the form of infographics. Degerli Esya – Online value-added service for buyers and sellers of antiques and contemporary art. Bipp.me – Service which converts texts into animations and conversations into cartoons. Moku – An Italian startup which offers a web app for collaborating on documents and taking notes. Skiipi – Croatian in origin. These guys are a graduate of Bulgarian accelerator Eleven and we mentioned them a couple of months ago. They are a skiing-oriented startup which hopes to improve upon the skiing experience by allowing users to use their smartphones to access course records and challenges. CaseTrek – Online case-management software for attorneys. Another recent Eleven graduate. Sgnam – An Italian startup which allows users to communicate directly with and have food delivered from local restaurants.